Midi Skirts are another piece that I’ve actively shied away from thinking that will make me look short or stout. However, when I moved to Paris, I started seeing them everywhere. 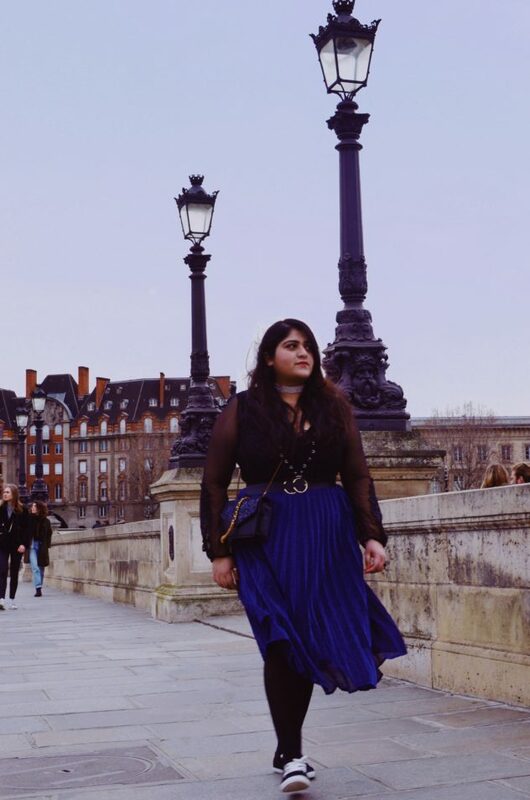 There’s something just so Parisienne about a midi skirt for me now that the curation of this guide is inspired by the locals here in every possible way. 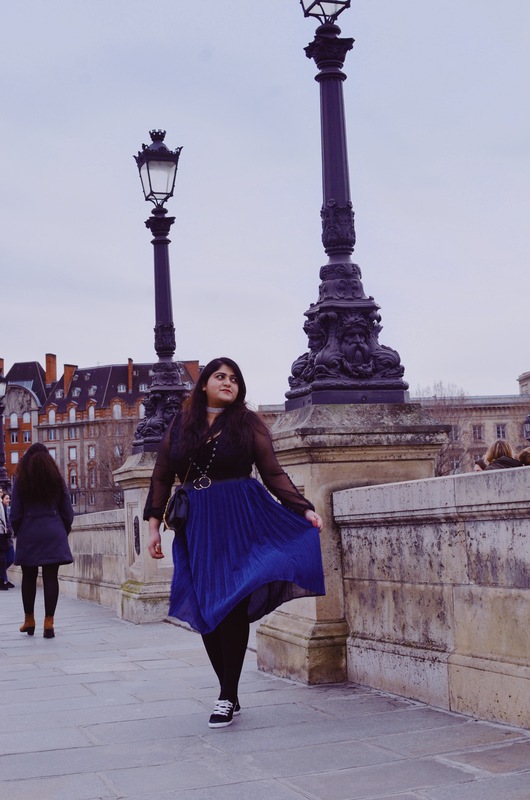 Why do you need a Midi Skirt? 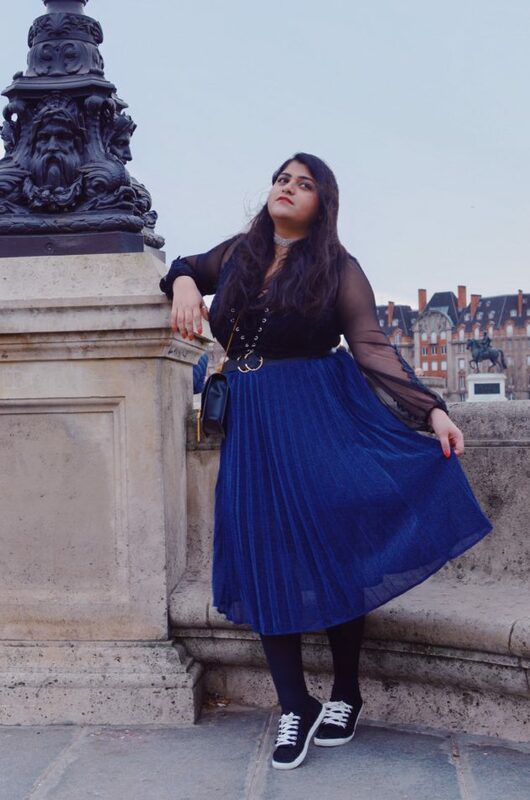 Midi skirts are comfortable to wear and pretty easy to style, so they’re an easy addition to your wardrobe and an easier extension to your style statement. Not only that Midi skirts can be styled in a classy as well as casual way. You just have to switch up the top you style it with. By extension, making it a basic key piece that you won’t regret investing in. 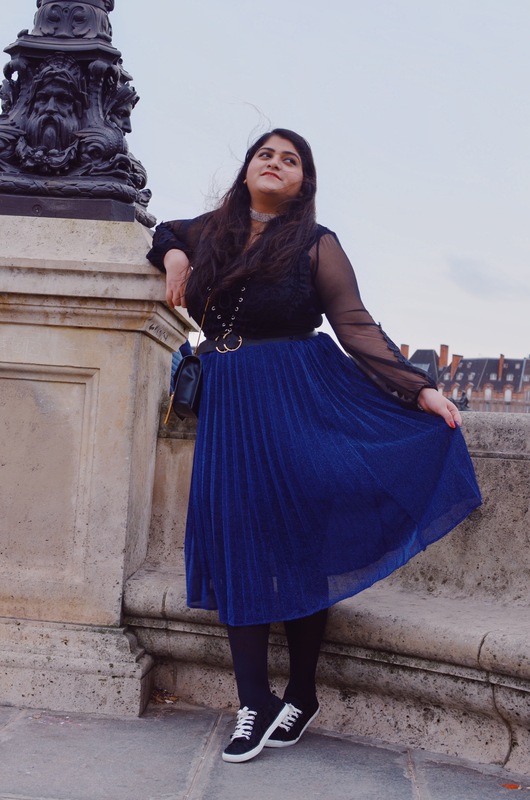 For my first time styling a midi skirt, I have used a plain blue skirt with a subtle glitter finish from my partner site – shein. The color and style are basic so I can comfortably get acquainted with this style and eventually experiment with more prints and colors. So, choosing the right midi skirt for yourself is the first step. If you’re a petite fashionista (short), you can go for a midi skirt with a slit to make your legs longer. 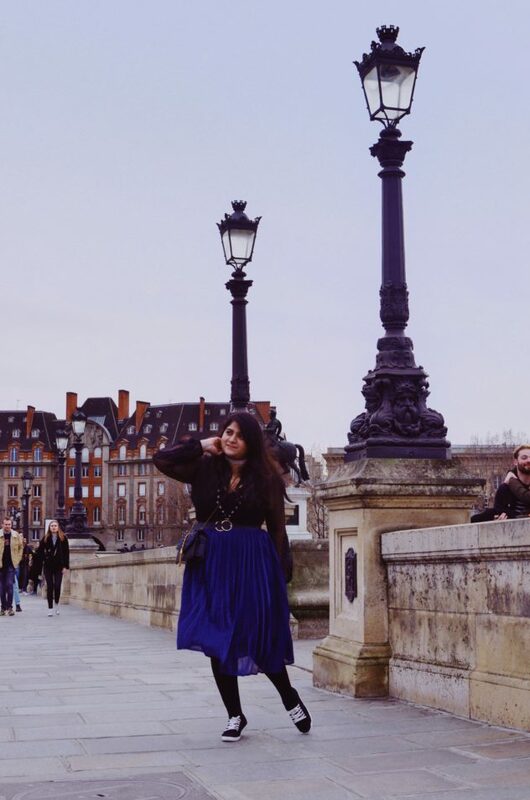 While for curvy and taller girls, a skirt till the mid-calf will do the needful. Pro Tip: Cut out a picture of yourself and of a skirt from a magazine to figure out which length you like the most in the midi skirt. Make sure to have these pictures in the same proportion. Style it either with a crop top that tightens around your waist or tuck-in a loose sweater/printed shirt. The idea is to not have a boxed silhouette. You can always add belts for best results or even go with high-waists. So, for jackets and coats, steer clear from straight, mid-length coats. You can either go for a blazer or a (faux) leather jacket for Spring & autumn. However, if you do have to wear a long coat, make sure the coat has pleats and a belt to maintain the silhouette and covers the entire length of your skirt. Whether it’s boots, sandals, or ballerinas, pointed shoes will cut off the extra bulk in your outfit. However, there’s absolutely no reason to not style this outfit for statement flats, as I did. So, once you’ve created the basic outfit, add on complimentary accessories and a sling bag. Make sure to have fun with your outfit styling & experiment to find what works out the best for you in the process. For more of my travel in style adventures, keep following ERTSY. Till then, stay stylish & keep reinventing yourself.